I do not box as one beating the air. Someone out there is feeling aimless today. It might even be you. Sometimes in this race of life we become distracted by our pain, the ugliness or beauty around us, the other runners and sundry temptations. We forget why we started running in the first place and drift aimlessly down the road. It’s time to get back on track and start running with discipline. Before we can get “back on track,” we have to determine where we are going and why we want to get there. In our passage today, Paul says that we run to receive an imperishable crown. Our goal, in effect, is eternal life. The ‘where’ therefore, is heaven. Why do we want to get there? Our ‘why’ usually starts with a desire to avoid eternal suffering, but as we grow in our faith, we want to get there so we can be with the Lord that we love so much. Commit the word to your heart. Daily. This advice sounds cliché-ish, but it is a vital point. Before we take a step, we need to get our head in the game. We require sound advice. The most reliable advice we possess is contained in God’s word. Reading alone is not enough; we need to roll it around in our mind, determine the proper applications, and—this is the most critical part—DO what it says. Again, more cliché advice, right? Who is going to get us to heaven? It certainly isn’t going to happen by my own strength, is it? I need help from the Lord. It is imperative to seek His help every. single. day. Each dawn brings new challenges. Each day, I have to decide if I am going to be selfless or selfish. Each day, I have to determine whether I follow Jesus or my own desires. Each day, I have to face temptation. I can’t do it alone. Neither can you. We seek God’s grace, forgiveness, and help. We do all this through prayer. Bring your thoughts under control. Daily. The battle begins in the mind. Satan doesn’t just use the physical to lead us away from the race, he attacks our thoughts as well. What did Jesus say, for instance, about adultery and murder? He said they begin in the heart. If, for instance, you think about how unfair life is, you will stop serving others and devote your energy to pleasing yourself as a means of assuaging the unfairness. When you compare your lack of wealth with the apparent wealth of others, you will lose your joy and throw yourself into debt trying to keep up. Our thoughts are really and truly a battle ground. Set your mind on things above. Refuse to give in to your impulses. Daily. Have you ever dieted? What do you think is the hardest part? You walk through the aisles of the supermarket, your basket full of healthy food. You meander up the frozen aisle—presumably to grab some frozen organic fruit—basking in the healthy glow of your cart and brimming with pride over your healthiness. Suddenly, you spot that luscious looking tub of chocolate sea-salt caramel ice cream. Your salivary glands activate in anticipation. You say to yourself, “well, just this once won’t hurt,” as you place the tub into your cart. Ah, but did anybody tell you about the highly addictive power of sugar? Before you know what hit you, your diet is totally sabotaged. Don’t flirt with temptation. Flee from it. Run like a gazelle from the hand of the hunter. Paul says, “so run that you may obtain [the prize].” Run as if there is only one winner. That doesn’t mean pushing others out or trying to make yourself look good at the expense of others. God evaluates each of us separately, so comparison is irrelevant. Paul is saying, in effect, push yourself harder than you thought possible and discipline yourself as though your life depended on it (and it does!). This race isn’t a sprint—it’s a marathon! Winning a marathon doesn’t take a burst of energy it requires regular, steady effort. I hope you’ll continue to join me on Facebook, Twitter and here at Elihu’s Corner for this marathon. Share this verse on your Twitter feed or Facebook page (#encourage). Take time today to copy down this verse for yourself. Send an email or text to someone you know who would benefit from this encouragement. I cannot encourage you enough to write down these verses. Studies have shown that the physical act of writing increases retention far more than typing or reading. Oh snap…keeping those thoughts in line. I know I’m outta line when I start rolling my eyes at my thoughts. This is where knowing what the word says! It sure helps keep a gal in check. Hide that word in your heart and keep on running! I truly love your comments! I’ve also enjoyed reading your blog as well. It sounds like a great adventure. Enjoy California—we just moved away. I sure miss those mountains! Awww….bless your heart (not in the southern sense either)! Thank you so very much. 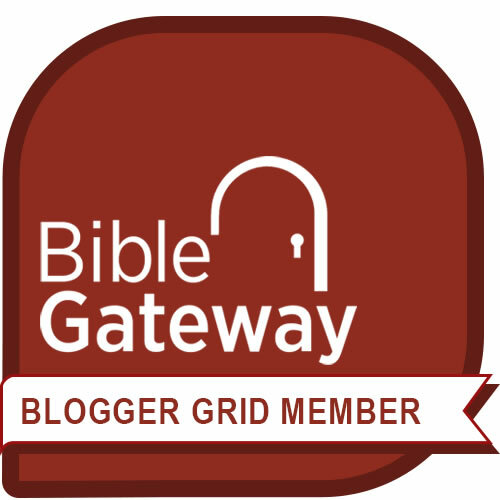 I have found a community here in blogland…a fellowship of believers that encourage and walk with one another through written word. I envision Paul writing letters to the churches encouraging them to keep the faith! I will say hi to the mountains for you!